Customized model +30€ included. Customized models can not be returned nor exchanges except in case of shoe size error. To custom your shoes with another color choose a standard model and customizaton option. Low shoe leather elegant, comfortable and perfect fit with his zipper. Presented here in a grey sequined leather that brings a touch of originality. Customized model +30€ included. Customized models can not be returned nor exchanges except in case of shoe size error. Here is our first boot heel! Ideal height (5cm) that refines the silhouette and allows long hours of shopping (or ride). Combination of the excellence of our know how and finest French leather, you will also be seduced by its comfort. - Entirely calf bag - Shoulder bag or crossing shoulder bag - Drawstring fastening - Internal removable pocket - Tinted cut edges Shipping included to mainland France. -Entirely calf supple bag - 2 shoulder straps - Single interior pocket with snap button Option : lining +100€ Free shipping included to France. The bag Cabas zip, to match your shoes (and / or your belt), in various colors, with big capacity. Dimensions: Height = 38cm, small width (thickness) = 12cm Width = 30cm. Other colors on request Click HERE and contact us at info@labottegardiane.com. Shipping included to mainland France. -Entirely calf supple bag with natural color calf lining - 2 shoulder straps - Single interior pocket with snap button - Zipper Free shipping included to France. Customized model +30€ included. Customized models can not be returned nor exchanges except in case of shoe size error. To custom your shoes with another color choose a standard model and customization option. Discover our slippers with their leather sole. This mix of moccasin and ballerina, very comfortable can dress any outfit. Customized model +30€ included Customized models can not be returned nor exchanges except in case of shoe size error. Boots between our boots model & Santiago. With its sharp tip and Chelsea style. Shipping included to mainland France. The bag Cabas zip, to match your shoes (and / or your belt), with big capacity. Dimensions: Height = 38cm, small width (thickness) = 12cm Width = 30cm. Other colors on request Click HERE and contact us at info@labottegardiane.com. Shipping included to mainland France. - Entirely leather backpack - Top handle - Adjustable shoulder straps - Single internal pocket - Drawstring fastening with foldover front Shipping included to mainland France. - Entirely calf bag - 2 shoulder straps - A single internal pocket snap button fastening - Tinted cut edges - Zipper Shipping included to mainland France. - Entirely calf bag with natural color lining - 2 shoulder straps - A single internal pocket snap button fastening - bag bottom Shipping included to mainland France. - Entirely calf supple bag - Shoulder bag or crossbody bag - Drawstring fastening - Internal removable pocket Shipping included to mainland France. - Entirely calf suede bag - Shoulder bag or crossing shoulder bag - Drawstring fastening - Internal removable pocket Shipping included to mainland France. 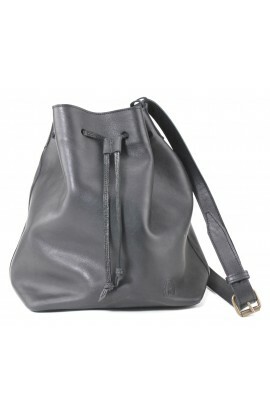 This bag by La Botte Gardiane, is perfect for casual look. You can match it with your shoes (and / or your belt), in various colors. Dimensions: Height = 38 cm, small width (thickness) = 12 cm Width = 30 cm. Other colors on request Click HERE and contact us at info@labottegardiane.com. Shipping included to mainland France. - Entirely calf supple bag - Shoulder bag or crossbody bag - Drawstring fastening - Internal removable pocket - Tinted cut edges Shipping included to mainland France. Customized model +30€ included Customized models can not be returned nor exchanges except in case of shoe size error. Gil, boots casual and urban model, with skinny jeans for a slender silhouette and skirt for an elegant silhouette. Boots with zip, easy to slip on. Other colors available, click here. Non-slip pads and lining included. Customized model +30€ included Customized models can not be returned nor exchanges except in case of shoe size error. One of our iconic models ! Vintage and cute style, very comfortable shoes with calf lining. Customized model +30€ included Customized models can not be returned nor exchanges except in case of shoe size error. Low shoe leather, very comfortable and perfect fit with his zipper. Presented here in our new calf supple leather. Lining model. Shipping included to mainland France. Customized model +30€ included Customized models can not be returned nor exchanges except in case of shoe size error. Discover our slippers with their leather sole. This mix of moccasin and ballerina, very comfortable can dress any outfit. Model with lining Black non-slip pads included Including shipping to mainland France. Customized model +30€ included. Customized models can not be returned nor exchanges except in case of shoe size error. To custom your shoes with another color choose a standard model and customization option. This is a very nice shoe, rounded form but adjusted, our classical derby with an outsole little bit more thin. It is light and comfortable. Discover our leather pouch perfect size! Discreet and practical, available between more than 100 leather colors. Must-have : choose a two-tone version ! Interior dimensions: Height = 16cm, Width = 23.5cm. 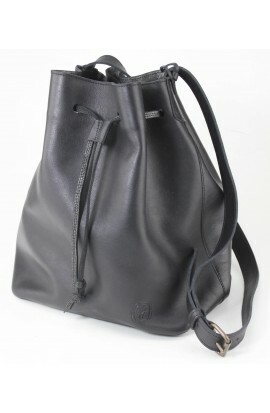 Supplied with the small cove, leather shoulder strap option, see below. Other colors on request, click HERE. Shipping included to mainland France. Discover our leather largest L pouch ! Discreet and practical, available between more than 100 leather colors. Must-have : choose a two-tone version ! Interior dimensions: Height = 21cm, Width = 28cm. Supplied with the small cove, leather shoulder strap option, see below. Other colors on request, click HERE. Shipping included to mainland France.